Here is the Crown of Kazan. 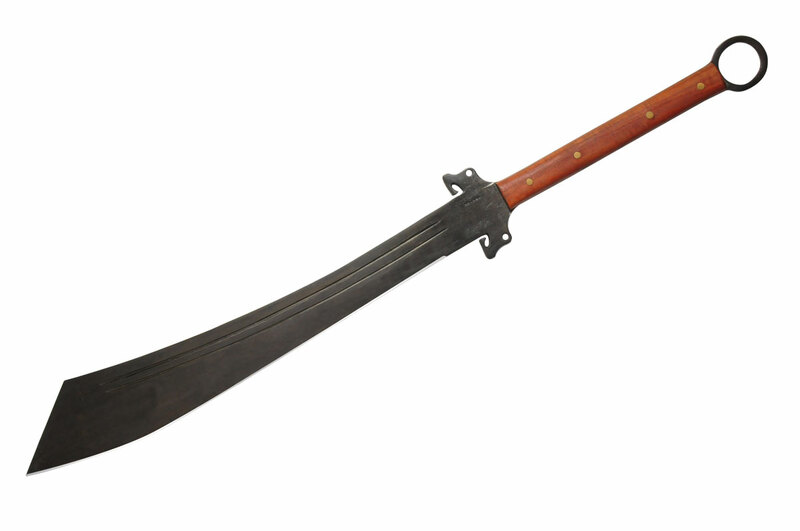 It belonged to Ediger Mahmet, the last ruler of the Tartar state of Kazan. The Khanate of Kazan encompassed parts of modern Tatarstan, Udmurtia, Bashkortostan, Mari El, Chuvashia, and Mordovia—rich forested lands at the extreme eastern edge of Europe which abutted the great Central Asian steppe (indeed Kazan was one of the last pieces of the Mongol Empire which had briefly ruled most of Eurasia). After the death of Genghis Khan, the empire shattered into successor states such as the Khanate of the Golden Horde. Kazan emerged from the turmoil as a powerful state between the early 15th and mid 16th centuries AD. Although it had a strong beginning, Kazan’s later years were a sad story of Russian meddling, interference, and outright assault. The noble houses of Kazan were more interested in fighting each other for control of the kingdom–which grew more ossified and derelict as the Turkic nobles fought one another and ignored the needs of their oppressed peasantry. Their stupidity, weakness, and ridiculous inability to understand the profound threat from Moscow strikes one as hard to believe. Initially, a Russian puppet, Shahghali, was placed on the throne, but, as civil wars broke out, he proved unable to keep the population subdued under the yoke of Moscow as civil war. In August 1552, forces of Ivan the Terrible invaded and annexed the kingdom outright. After Ivan the Terrible took over Kazan, Russian forces slaughtered more than 110,000 of the nobles, soldiers, and peasants. Pro-Russian traitors who had worked insidiously to ensure the defeat of their country were rewarded by being allowed to keep their lands and towers (and, of course, the gold which Ivan had used to buy them off). Today the Crown of Kazan is found inside the Kremlin armory with early Russian crowns like the Cap of Monomakh as well as crowns from other kingdoms swallowed whole by the insatiable Russian Empire. Here is a picture of Gerhard Schroeder looking bored/horrified (borified?) as Vladimir Putin explains this history to him and tells how Russia weakened and annexed its competitors during the Middle Ages. Escalation of commitment refers to a behavioral phenomenon whereby a group of people who have embarked upon a decision which is producing increasingly negative outcomes continue forward with their course of action despite the accumulating evidence of bad results. This sounds ridiculous, but it is a very frequent pattern in human behavior. It is worth casting our minds back 100 years to 1917 when the First World War ground into its 3rd year despite the deaths of millions of combatants on both sides. In economics, a very similar situation is described as the “sunk cost fallacy’: throwing away more and more resources because the idea of losing the time and money already invested is too painful to bear. One sees this at casinos all of the time, when a punter keeps grinding tokens into a machine waiting for it to pay out. One sees it in casino owners who build lavish follies with borrowed money even after the gamblers have all been fleeced or given up. One sees it in institutional investors which will not give up on certain bankrupt debtors because the banks themselves will lose too much money. The reasons for escalation of commitment are manifold, but boil down to certain unpleasant fundamentals about human preferences and decision making. Changing one’s mind is difficult because it involves admitting an error. Additionally, it is more painful to lose something than it is pleasant to gain something (a dreadful dictum which explains so much of human behavior). Leadership norms punish seemingly inconsistent behavior more than bad results; if a leader admits a problematic course of action and changes it, they are more likely to be punished than if they just went ahead with whatever idiotic thing they were going to do anyway. All of this is to highlight that people have an astonishing ability to lie to themselves when they have done a colossally stupid thing. They will continue onward with such behavior in the face of rational evidence and will fall into certain tribal behaviors which make it even harder to escape the spiral of collapse. And, of course, there are counter examples and arguments. It is Impossible to ever reap the rewards of a risky investment if one abandons a project too hastily. Would Columbus have reached America if he had given in to the terrors of apparently endless ocean? Would Thomas Edison have persevered through all of those hundreds of unsuccessful filament materials to the electric lightbulb? Yet some of those filaments glimmered or shone brightly for a moment. The Santa Maria did not fall off a giant waterfall at the edge of the world but instead the sailors saw evidence of land. Evidence should help us escape the dreadful escalation of commitment. If a leader is behaving erratically, wickedly, and stupidly is it wise to ignore such behavior, in the belief that he will somehow correct himself? If there is no coherent plan but merely bombast, corruption, and hollow stage-managed cheers, why would you choose to cheer along? Once you have invested enough effort in a bad idea or a terrible leader, it isn’t possible to escape. Human behavior means you must follow…even if it leads to Changping, Verdun, or a bunker beneath Berlin. If I learned anything from history class (or from my own failed business with a light-fingered dipsomaniac business partner) it is to be on guard for escalation of commitment early. Don’t go down with somebody else’s leaking ship or drink from their poisoned chalice. Just because you made one bad choice doesn’t mean you have to make more. We are reaching the end of the year and now it is time too to reach the end of The Shepheardes Calender. This year was harder to get through than I expected it to be…and so was this poem! There was a lot of weird maudlin rustic business going on and a lot of terrifying politics. The entire thing was nearly impossible to understand–even with help from trained commenters. Perhaps you will not be entirely surprised that the conclusion of The Shepheardes Calender is sad and unfullfilling–since it ends the same way it started: it is winter and Colin, the writer’s alter-ego and approximate protagonist of the piece is lamenting his unhappy lot (and his unrequited love for Rosalind). Colin compares the four seasons of the year to the four stages of human life, but he concludes that an early winter has blighted the fruits of fall and laments that winter will finish him off (which proved prophetic for Spenser, whose fortunes fell apart utterly which led him to an early death of starvation). Like the November ecologue, the lament has the full force of conviction behind it and the poetry (my favorite passage of Spenser is the passage in the Fairy Queen, where Despair nearly defeats the RedCrosse knight by whispering syllabant words of negation and defeatism). The Redcrosse knight is rescued by Una and Arthur…but no such figures hold out hope for shepheardes and poets, so we leave Colin heartbroken saying fairwell to his sheep as the cold settles ineluctably upon him. Yet the poem is still here…and we are still talking about Spenser…Vivitur ingenio, caetera mortis erunt! THis Æglogue (euen as the first beganne) is ended with a complaynte of Colin to God Pan. wherein as weary of his former wayes, he proportioneth his life to the foure seasons of the yeare, comparing hys youthe to the spring time, when he was fresh and free form loues follye. His manhoode to the sommer, which he sayth, was consumed with greate heate and excessiue drouth caused through a Comet or blasinge starre, by which he meaneth loue, which passion is comenly compared to such flames and immoderate heate. His riper yeares hee resembleth to an vnseasonable harueste wherein the fruites fall ere they be rype. His latter age to winters chyll & frostie season, now drawing neare to his last ende. For he of Tityrus his songs did lere. The rurall song of carefull Colinet. That I of doubted daunger had no feare. Withouten dreade of Wolues to bene espyed. Or hunt the hartlesse hare, til shee were tame. Tho deemed I, my spring would euer laste. For ylike to me was libertee and lyfe. Made me by arte more cunning in the same. To Pan his owne selfe pype I neede not yield. The wiser Muses after Colin ranne. My freedome lorne, my life he lefte to mone. But better mought they haue behote him Hate. The raging fyre, that kindled at his ray. That reigned (as men sayd) in Venus seate. The Woodes can witnesse many a wofull stowre. And loathed Paddocks lording on the same. The ghastlie Owle her grieuous ynne doth keepe. To thinges of ryper reason selfe applyed. Such as might saue my sheepe and me fro shame. Was better seene, or hurtful beastes to hont? How Phoebe sayles, where Venus sittes and when. And which be wont to worke eternall sleepe. Whose ranckling wound as yet does rifely bleede. Why liuest thou stil, and yet hast thy deathes wound? Why dyest thou stil, and yet aliue art founde? And all my hoped gaine is turned to scathe. Was nought but brakes and brambles to be mowne. The flattring fruite is fallen to grownd before. My haruest wast, my hope away dyd wipe. Bene withered, as they had bene gathered long. Yet dewed with teares they han be euer among. And cast hem out, as rotten an vnsoote. One if I please, enough is me therefore. Cockel for corne, and chaffe for barley bare. All was blowne away of the wauering wynd. Was neuer pype of reede did better sounde. And after Winter dreerie death does hast. Ere the breme Winter breede you greater griefe. And after Winter commeth timely death. Tell Rosalind, her Colin bids her adieu. 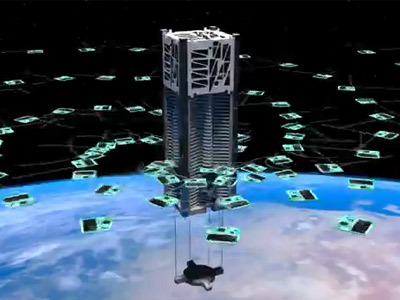 Have you ever wanted to have a fleet of numerous extremely tiny micro-satellites in outer space doing your bidding? Well, if so, there is bad news for you: an experimental satellite meant to test out a new paradigm for launching multiple tiny space vehicles ended in failure earlier this month. Microsatellites have become common in low earth-orbit in recent years, but the Kicksat was a special sort of tiny satellite. Within the little 10cm by 10cm by 30cm “mothership” were 104 truly tiny space vehicles which had a flat square shape measuring only 3.5 cm square by 3 mm thick. Each weighed about 5 grams. The little satellites (whimsically named “sprites”) were meant to launch from the central satellite in spiral waves. Each sprite included a microprocessor, a solar cell, and a radio system—some of the tiny craft had more elaborate microelectromechanical sensors. Aerospace engineers had hoped that the tiny crafts would provide useful data on the behavior of small craft in space since the behavior of materials and systems in space change based on scale (particularly solar sails—which become more efficient and viable). Unfortunately it seems that solar radiation caused the system clock to reset—thus delaying the secondary sprite launch until after the main satellite burned up in reentry. Still, the telemetry of the mothership functioned properly (and also provided a valuable lesson about the need for radiation shielding). The project may evolve into a second iteration based on lessons from the failure of the first attempt and it has provided us with an amazing computer simulation of launch (below). Faustin-Élie Soulouque was born as a slave in Haiti in 1782. He fought as a private during the Haitian revolution and he so distinguished himself as a soldier that he was offered an officer’s commission in the army of the newly formed Republic of Haiti. Throughout the first half of the nineteenth century he rose up through the ranks to ultimately become a general. Then, in 1847, Faustin was democratically elected as President of Haïti—his biography is the heroic story of a man who was born as a slave who became the leader of a nation! Unfortunately the rot soon started to set in. Backed by a highly loyal group of military apparatchiks, President Faustin soon began murdering his political enemies. 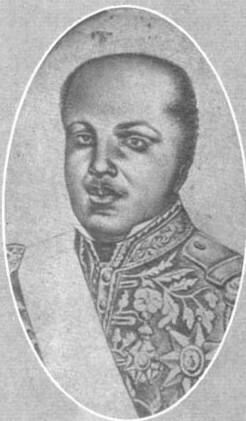 In 1849 he suspended the Republic and proclaimed himself Emperor Faustin I of Haiti. His subsequent reign was marked by fanatical crackdowns against real or imaginary opponents within Haiti. Faustin’s violence became so extreme that he was accused of ritual cannibalism and drinking the blood of his enemies (long before Idi Amin was accused of similar tactics in the twentieth century). Additionally Emperor Faustin launched a disastrous series of invasions against Spanish-controlled Santo Domingo (which is today the Dominican Republic). The Haitian army attacked in 1849, 1850, 1855 and 1856 but was soundly defeated each time. Faustin’s dream of a unified Hispaniola never came to fruition. In order to centralize and legitimize his brutal reign, Faustin created many different orders of nobility to confer upon cronies. In 1858, this strategy backfired when General Fabre Geffrard, the “Duc de Tabara” launched a full scale rebellion which pushed Emperor Faustin I from power (President Gerard returned Haiti to democratic rule and proved to be a staunch ally to the anti-slavery United States Union during the American Civil War). Emperor Faustin tried to seek shelter in his beloved France, but was laughed at and rebuffed. He ended up living in exile in Jamaica (although he returned to Haiti to die). All of this is backstory for this somewhat overbearing crown, “the crown of Faustin I” which was made for the vampire emperor’s coronation in 1849. 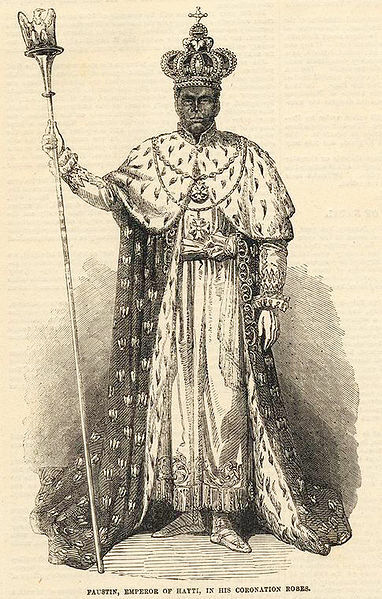 The crown was richly ornamented with diamonds, emeralds, and other jewels. 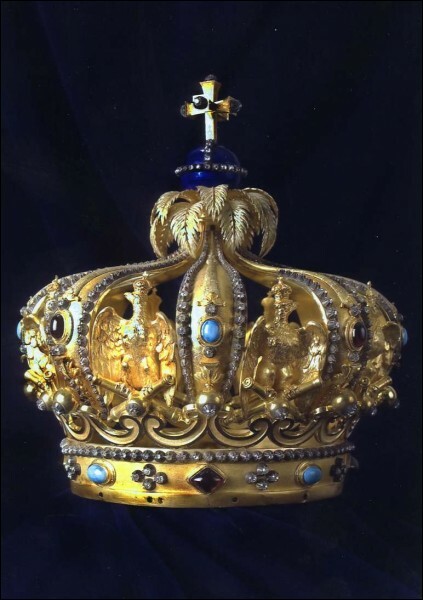 After Faustin’s fall, the crown eventually became a major exhibit in the Musée du Panthéon National Haitien, however even in a museum the crown could not escape the corruption endemic to Haiti. It was recently discovered that many of the jewels were surreptitiously pilfered from the crown of Faustin at an unknown time. The entire crown was then removed to an unknown location by unknown entities for safekeeping (which seems to mean that it was stolen entirely)—a fitting legacy for Haiti’s Cannibal Emperor. April is poetry month and, to celebrate, here is a poem by the great Tang dynasty poet, Du Fu (712–770). Du Fu was the son of a minor scholar-official and he dedicated his youth to the rigorous study of Confucian philosophy, history and poetry. However, when the moment of truth came, Du Fu failed the civil service examination despite his tremendous erudition. This failure stunned Du Fu (and every subsequent generation of Chinese scholars) to such an extent that many suggest the Tang-era test was crooked. The rest of Du Fu’s life he moved from place to place trying to find a place to fit in after failing the one thing that mattered. His final years were spent struggling to survive the cataclysmic events of the An Lushan Rebellion (which devastated China and left huge swaths of the population dead). Du Fu’s life does not sound like the model of happy success, but history judged him very differently. Although his work was initially dismissed and garnered little attention even in the era immediately after his death, in remained in circulation and then suddenly began to grow in popularity. Each generation regarded it more highly than the previous and it became worked into the aesthetic and philosophical framework of Chinese society. Today Du Fu’s works of poetry (from across all classical Chinese genres) are among the most famous works of Chinese literature. 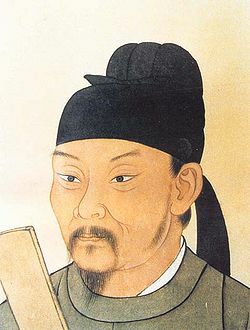 His poetry has had a unique seminal influence on almost all subsequent poetry and he has been canonized as one of the greatest Chinese writers. Here is a short poem which demonstrates the austere vigor of his pen. Notice how much longer the English version is than the Chinese original!